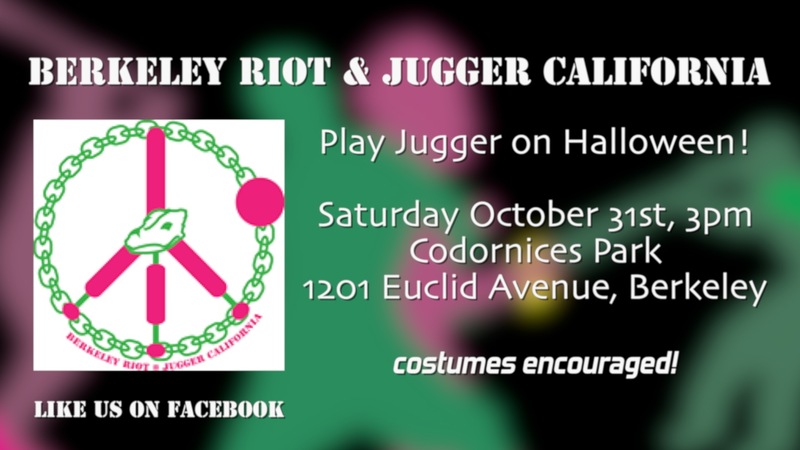 On our latest ‪#‎Berkeley‬ we geek out over a game of Jugger with the Berkeley Riot. Thanks to Valkyrie and Evan Savage, you can play the post-apocalyptic sport invented by Oscar-nomninated screenwriter David Webb Peoples, Thursdays 5pm at Cal Memorial Glade and Saturdays, 3pm at Codornices Park. ‪3! 2! 1! #‎Jugger‬! Subscribe to Quirkeley on YouTube for local, fresh and organic videos. Like us on Facebook & follow us on Twitter & Instagram.